As I think I have mentioned before, sometimes these Ten on Tuesday topics just come easily and I know days in advance what the topic is going to be. And sometimes – well – they just don’t. This week was one of those times when I was struggling to come up with a topic and then – whammo! – it hit me when I was thinking about going to see Jimmy Buffett next month. Let’s talk about 10 Bands (and Performers) I Have Seen! Jimmy Buffett. Might as well start with my favorite. 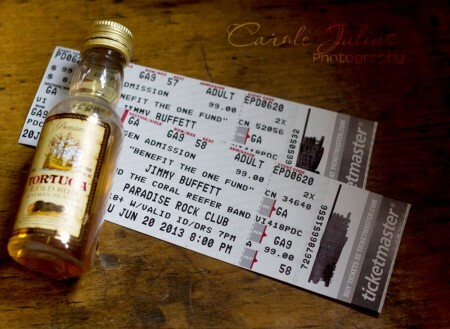 Going to see Buffett is not just going to a concert – it is an all day drinking and eating and people watching festival. My friend Jo-Ann calls it Christmas for Drunks and she’s got a point. It’s a blast. Billy Joel. I saw him many years ago and our seats were in the 8th row. It was fantastic, partly because we were sitting so close but also because he is just a terrific entertainer. The Rolling Stones. Labor Day Weekend, 1994 and it was cold. Charlie Watts wore a fur coat, that’s how cold it was. Nevertheless, it was a huge deal for me to go to this show and be able to say: I saw the Rolling Stones. AC/DC. I saw them 3 times, I think. One of those times Dale was there with his son, Brant. This was, of course, years and years before we knew each other. But still. Ozzy Osbourne. Weird, right? But in high school I loved him and my friend Tracey and I saw him at The Garden back in 1983. It was quite a show. Jethro Tull. There’s nothing like a grown man in tights leaping around a stage while playing a flute for putting on a great show. Skating Away is my all time favorite. Kathy Mattea. Dale and I have seen her twice in the last couple of years and we are going again next month. She has a beautiful voice and the small arenas that she chooses are fantastic. Plus, we’ve gotten to talk to her after both shows and I just love that about her. John Denver. I saw him once on The Boston Common and then years later (with Dale) at the South Shore Music Circus. He died shortly after that show and I am so grateful that I got to see him again. I realize that liking folk music makes me a dork but that’s something I’ll gladly accept. Alan Jackson. This is the only “big” country show I’ve ever gone to and it was great. Lots of energy and lots of cowboy boots – in Providence, RI, no less. Gordon Lightfoot. I know, folk music again. And truth be told, he was past his prime when I saw him. But he still put on a great show and Dale enjoyed the hell out of it. It’s an eclectic list up there, yes? I can’t wait to read all of yours! Add your link below and tell us all about it! As always, if you want to sign up for the Ten on Tuesday email then please click here. There is nothing wrong with folk music. I cut my teeth on it. Folk chords are the basis of rock and roll and the Beatles built a career on them. I’ve seen Billy Joel and The Stones, but none of the other shows you’ve listed. Concerts are so much fun! I always love your pictures from Buffett concerts. Such craziness! That’s an eclectic list of concerts. My first concert wasn’t until I was in my 30’s! It was John Cougar Mellencamp and we went in the weeks following the 9/11 attacks. It was all raw emotion, lots of songs about America and freedom, we cried and we laughed, I think it was a perfect first concert. The others – Jimmy Buffett (my all time perennial favorite); Elton John & Billy Joel (this was a fantastic show, and Shawn and I went the weekend before we got married); Neil Diamond (we went with our friends Val & Stan and it was fantastic); Barry Manilow (and yes, even though his mouth barely moved from all his plastic surgeries, he still sang like an angel); and (most recently) Scotty McCreery. We have tickets to see Journey this summer, can’t wait!! I so wish I had seen John Denver. We had Annie’s Song sung at our wedding. And YOU SAW THE STONES! That is the best. I also saw Ozzy, but I didn’t include him in my list…too many to choose from! I cheated and included opening acts on a few. I sat up until 10 last night over on you tube listening to old songs by Journey. How fun! Lots of fun concerts! And a varied assortment, very similar to mine. One of these days I’ll go see Buffet. It sounds like such a blast! And I would love to see Billy Joel and envy you having seen John Denver. I always liked him. Fun topic! The overlaps are The Rolling Stones–nuff said–and more importantly John Denver. He put on a great concert and he’s very special because he and my husband were in architectural school together at Texas Tech. When they had to pull an all nighter, Denver would sign and keep them awake, then the guys would rally around and finish his project. Needless to say, he quit architectural school to become a superstar (what a loser haha). You have an interesting and well-rounded list. I still love Wreck of the Edmund Fitzgerald, even if it is folk music! Pure Prairie League, Grateful Dead (Syracuse), Little Feat, Lynyrd Skynard, Sara Bareilles, Lilith, and Sara McLachlan. I almost got to see Buffet as an 18 yr old at the Shell in Stockbridge , MA the summer of ’77. My parents were smart- took one look at the kid who asked me and knew it spelled and smelled of trouble. Lol. I saw Ozzy, too. Also John Denver. I added a twist to the prompt & only listed shows I’ve enjoyed in outdoor venues. I never got to see John Denver. And I’m sure Jethro Tull was a great memory! I would love to see some of those groups. My most notable is that I got to see Pink Floyd from 12th row center stage. It was awesome! I saw Billy Joel, too. At Boston Garden. He was great. But not as great as Queen. Best.concert.ever. …and a few times since! Gordon Lightfoot was the first ever concert I went to–with my favorite uncle, when I was 12. Buffett, Check! But now he only plays big stadiums in CA. Then just to be overly eclectic, let’s add to the list: David Bowie, Scorpions, Gypsy Kings, Joan Baez, Mercedes Sosa, Toad the Wet Sprocket, Michael Jackson (at the Berlin Wall), and Sting (at the National Stadium in Chile). Too bad I only get 10.